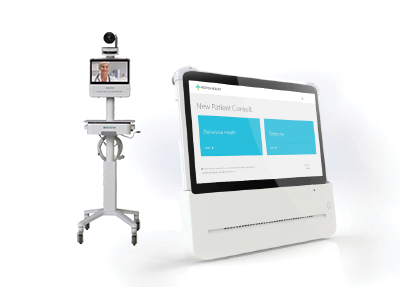 RESTON, Va.–(BUSINESS WIRE)–Avizia, powering system-wide telehealth, has unveiled its Connect Solution, which offers healthcare organizations a turnkey and cost-effective opportunity to launch and scale telehealth video consultation capabilities, without a complex implementation process. Armed with Avizia’s Connect Solution, providers will have the tools needed to deliver video consults within minutes. Avizia’s Connect Solution, to be demonstrated at the ATA18 Conference in Chicago, starts with a user-friendly software interface, which providers can use to instantly launch a secure, high-quality video call through the FDA registered Avizia 200 telemedicine tablet. The provider can easily add other participants to the call, such as family members or other care providers. With the Connect Solution, healthcare organizations enjoy the foundational benefits of a virtual care program while laying the groundwork for a future system-wide telehealth strategy. Providers can deliver virtual consultations anytime and anywhere, using their computer or mobile device, while leveraging a suite of call-enhancing features—including multi-participant connectivity and enhanced far-end camera control—without having to download a special plug-in or invest in a large platform. 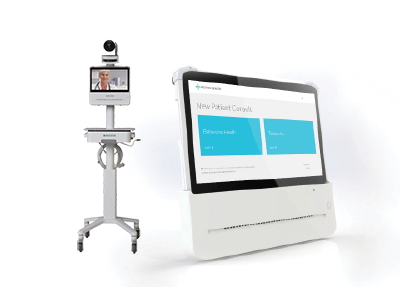 “The Connect Solution is designed for hospitals and provider organizations that want to improve patient access and enjoy the benefits of telehealth without undergoing a more complex technology implementation process,” says Cory Costley, Chief Product Officer of Avizia. As noted by Avizia’s 2017 Closing the Telehealth Gap report, organizations that use telehealth primarily use the technology to expand access/reach (70 percent) and improve patient outcomes (55 percent). However, many providers cited challenges to implementing telehealth, including program cost (40 percent) and clinician resistance (22 percent), the report noted. The Connect Solution, which encompasses the Avizia 200 and software interface, addresses these needs by making telehealth affordable and accessible.